If you’re looking for unique gifts that show your love and appreciation, you’ve hit the jackpot. At Weddingstar, we offer a huge selection of customizable gifts that can be used for anything from weddings and anniversaries to birthday, graduations and holidays. These gifts are stylish and unique, especially since each one can be customized in special ways. Whether you need gifts for men, for women or for both, you’ll have plenty of options when you browse this extensive collection of custom gifts. Our personalized gifts for ladies come in all shapes, sizes and styles. 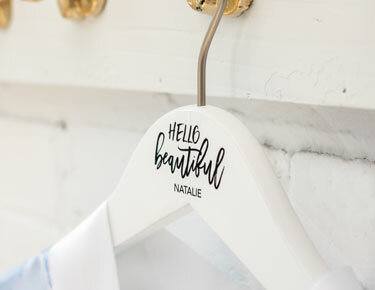 For the girly girl, add a monogram to a charm bracelet, an embroidered name on a silky kimono robe or her first initial to a chic cosmetics bag. For the adventurous lady in your life, she’ll love gifts she can take on the go, like a personalized weekender bag or travel bottle. 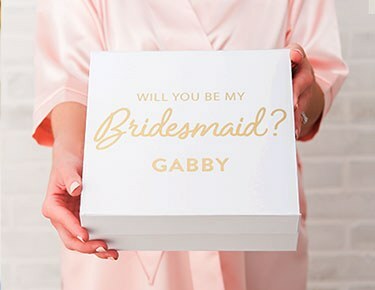 From jewelry to shoes to accessories, we have a little bit of everything, all of which make wonderful personalized bride gifts, bridesmaid gifts or gifts for any special woman in your life. For the guys, there are plenty of solid options for groomsman gifts and other men being celebrated or honored. 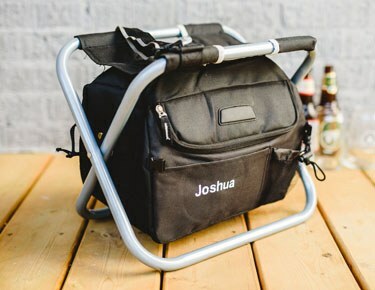 Some of our favorites revolve around drinks and entertaining, whether it’s a custom wooden beer caddy, a timeless steel flask, a stylish copper mule mug or a personalized barbecue kit. We also have cufflink sets, tie clips, pocket watches, lighters, pocket knives and more. Best of all, everything can be customized, so it’s sure to be a meaningful gift. Browse our full collection of bride to groom gifts, groom to bride gifts, birthday gifts and more to get great ideas for your next celebration. No matter what the occasion, these gifts feature a personal touch that is sure to make your present stand out and become a cherished keepsake.